A burn is one of the most painful injuries a person can endure. They can take years to fully recover and heal, and most victims of burns are left permanently scarred – regardless of advances in medical technology. While there are operations that can lessen the severity of these scars, often they require excessive amounts of money that go beyond what a victim can actually afford. In addition to the physical scaring, burns can lead to damaged nerves, paralysis or even blindness. It doesn’t matter if they are first, second or third-degree burns, the expenses and emotional stress associated with a burn is a lot for anyone to handle. That is why you need the assistance of a Chico personal injury attorney to help you financially and emotionally recover from your injuries. In California, burn victims that are injured due to another party’s negligence have a legal right to file a claim against that party for the damages. Because burns are one of the more expensive injuries to treat, victims need more compensation than their insurance can handle. Burn victims may require skin replacement, skin grafts, therapy and even reconstructive surgery. With the assistance of our Chico personal injury lawyers, you can ensure the money spent on these treatments doesn’t come from your own pocket. At Amaya & Associates Attorneys at Law, we have experience representing burn victims. We know how to handle these types of cases, and we will work to get you adequate compensation. Give us a call today for a no obligation consultation by dialing now. 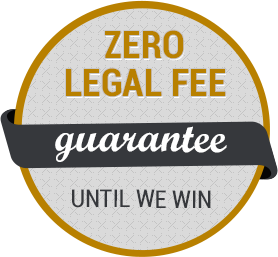 "PROFESSIONAL AND CARING ATTORNEYS THAT GET RESULTS."